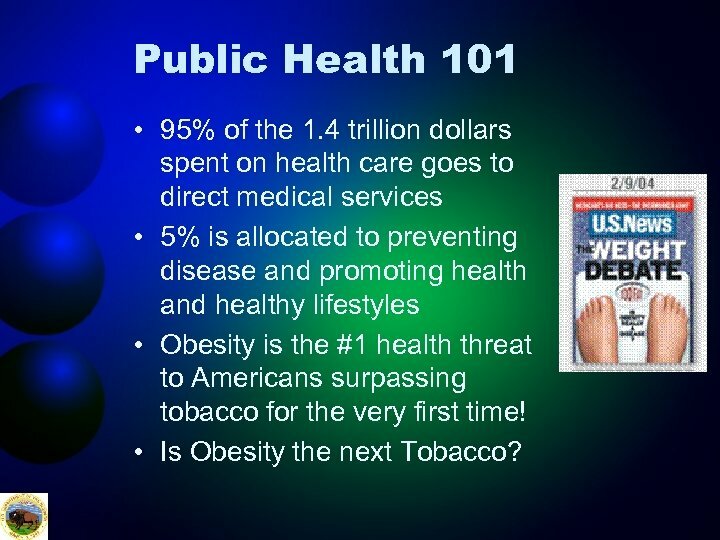 Public Health 101 • 95% of the 1. 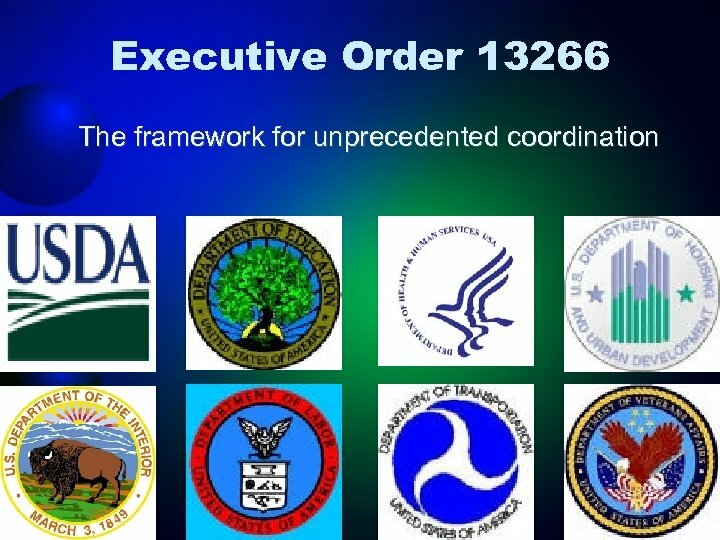 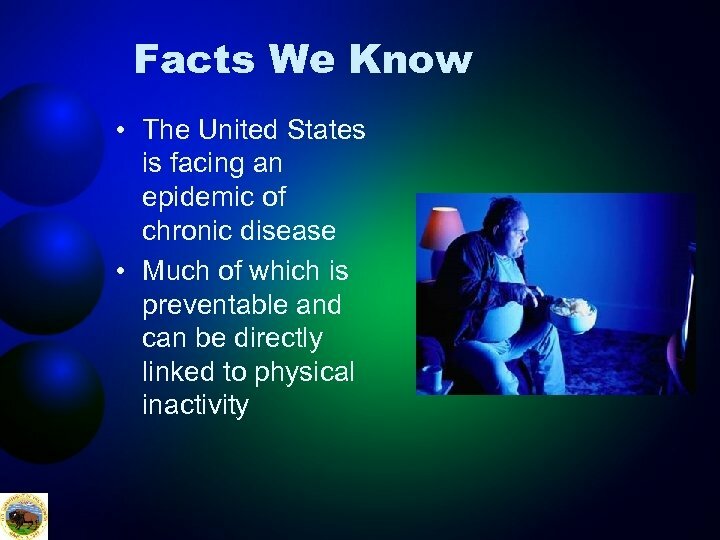 4 trillion dollars spent on health care goes to direct medical services • 5% is allocated to preventing disease and promoting health and healthy lifestyles • Obesity is the #1 health threat to Americans surpassing tobacco for the very first time! 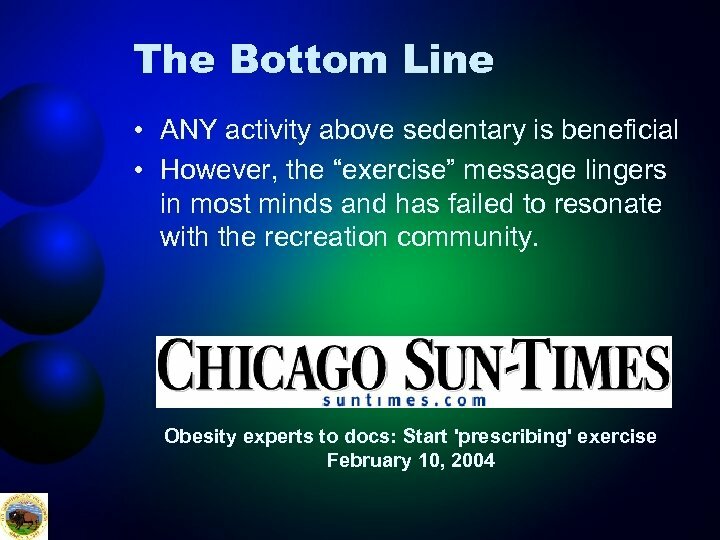 • Is Obesity the next Tobacco? 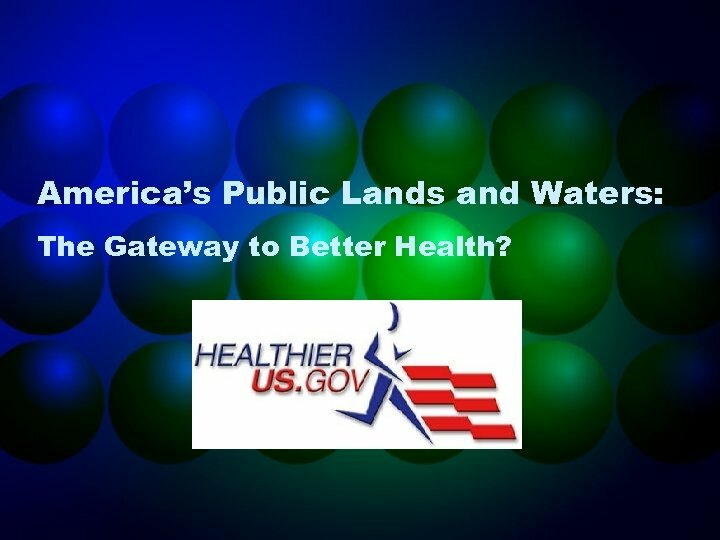 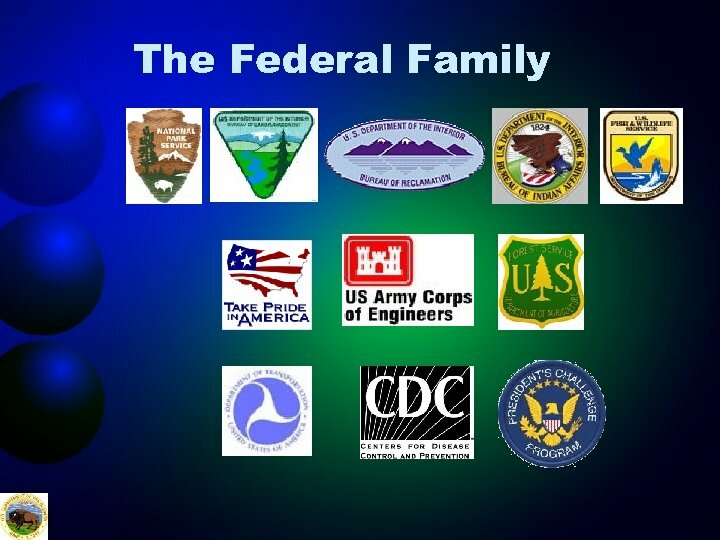 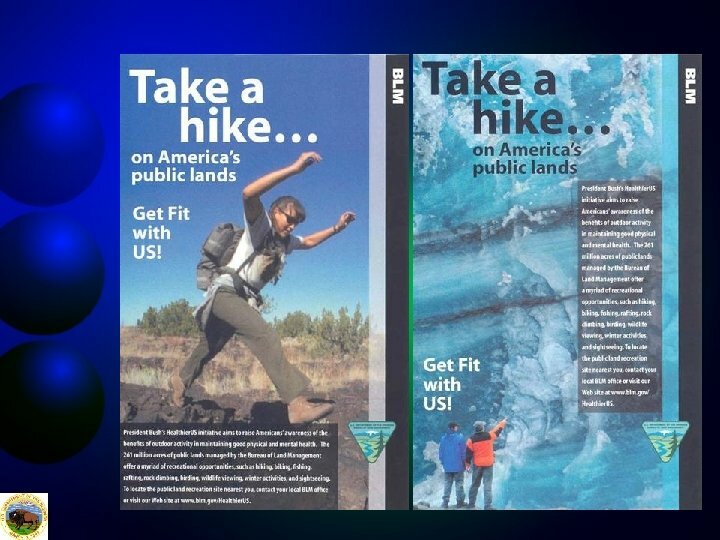 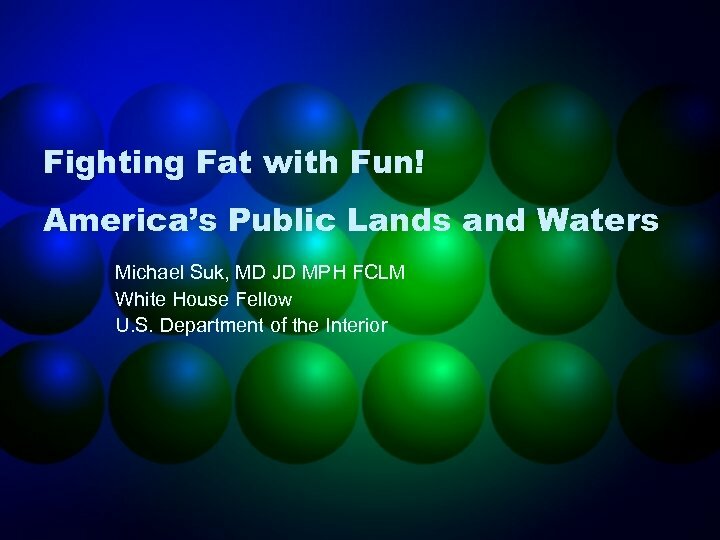 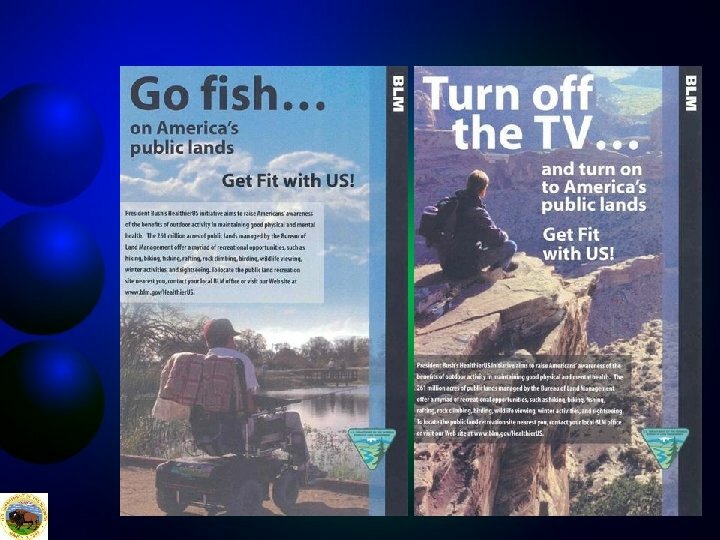 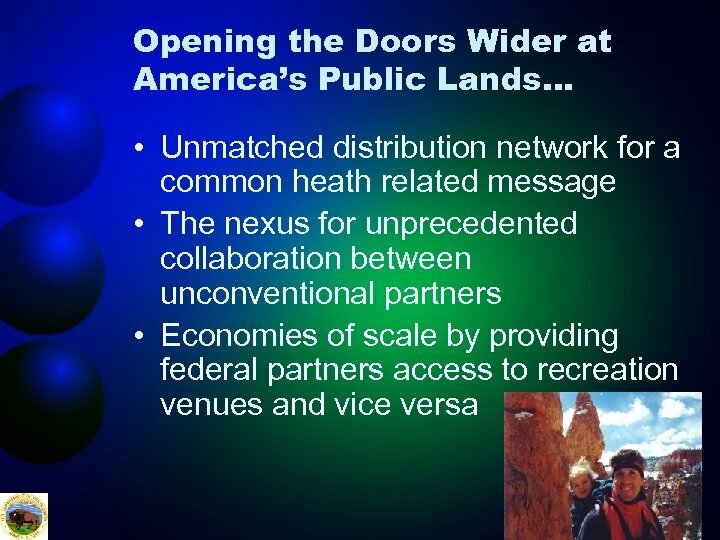 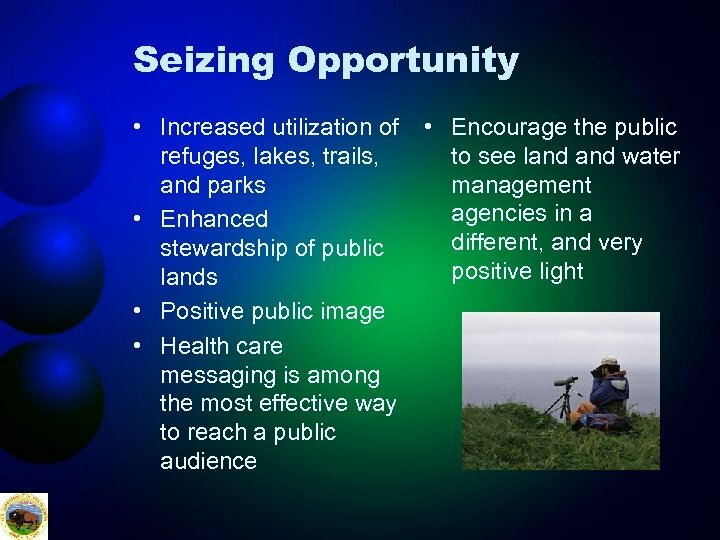 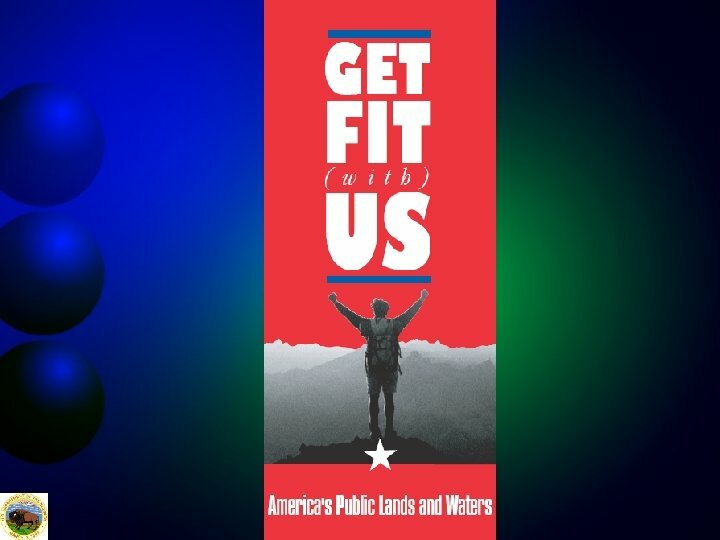 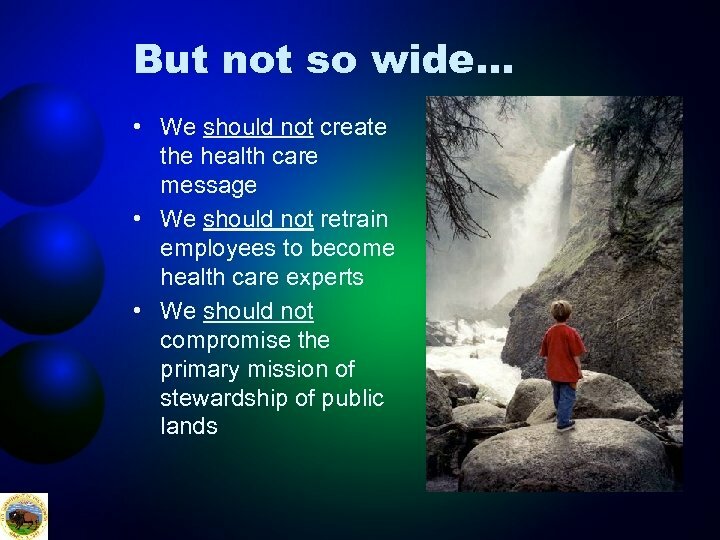 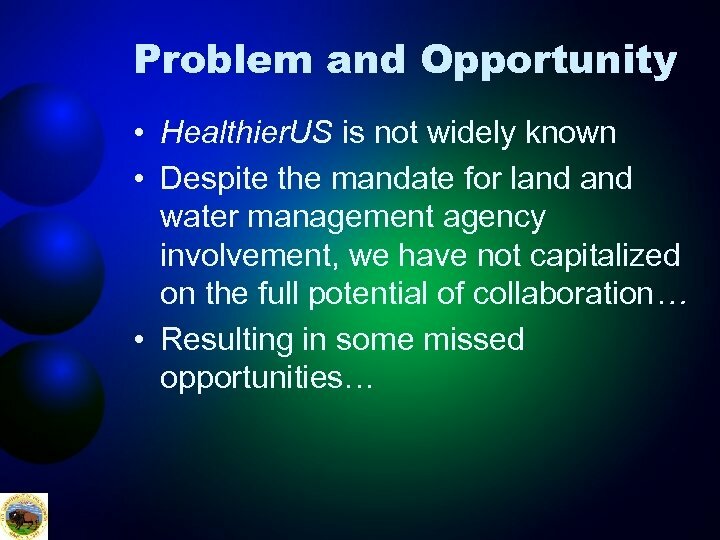 America’s Public Lands and Waters: The Gateway to Better Health? 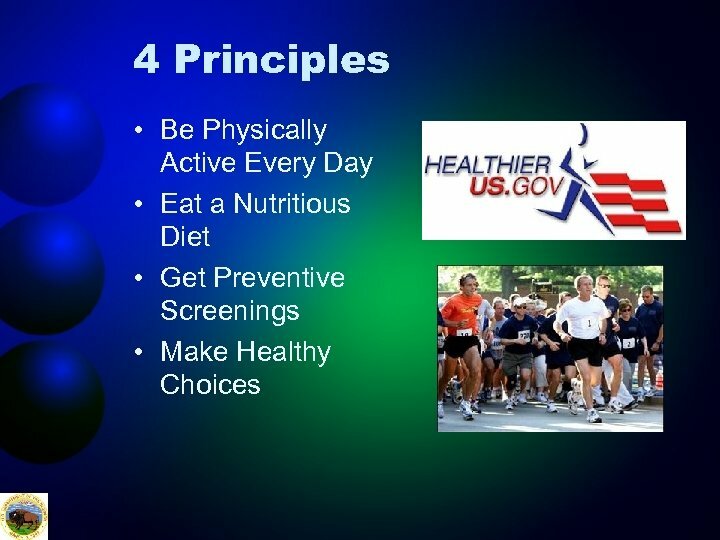 Healthier. 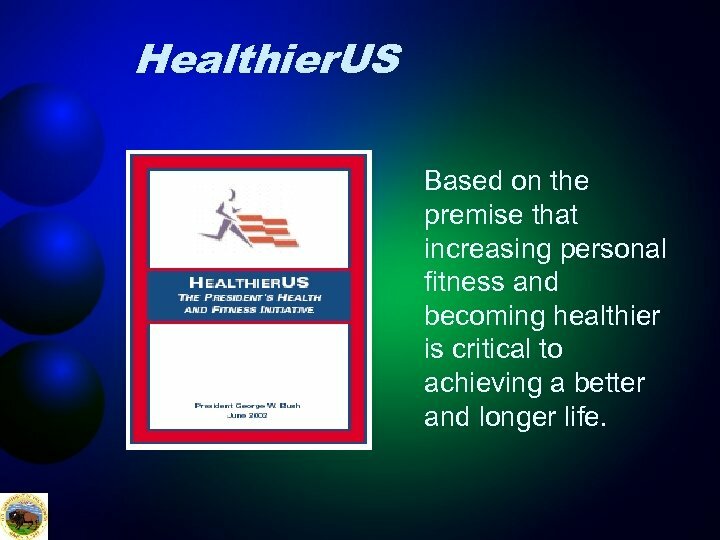 US Based on the premise that increasing personal fitness and becoming healthier is critical to achieving a better and longer life. 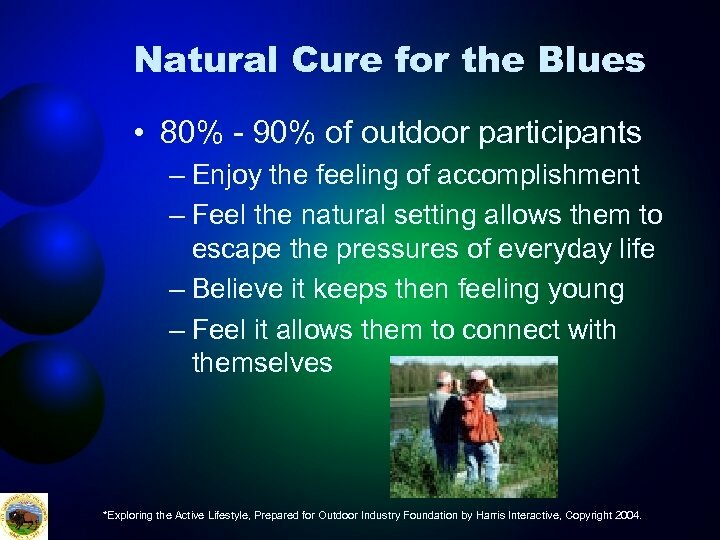 Natural Cure for the Blues • 80% - 90% of outdoor participants – Enjoy the feeling of accomplishment – Feel the natural setting allows them to escape the pressures of everyday life – Believe it keeps then feeling young – Feel it allows them to connect with themselves *Exploring the Active Lifestyle, Prepared for Outdoor Industry Foundation by Harris Interactive, Copyright 2004. 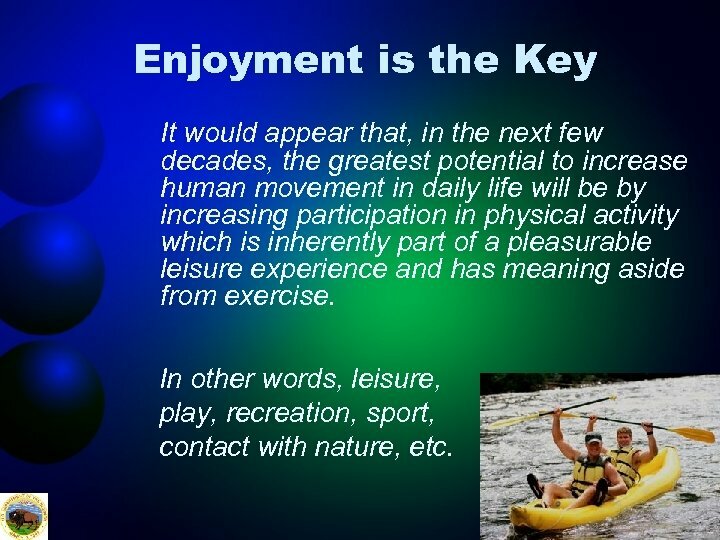 Enjoyment is the Key It would appear that, in the next few decades, the greatest potential to increase human movement in daily life will be by increasing participation in physical activity which is inherently part of a pleasurable leisure experience and has meaning aside from exercise. 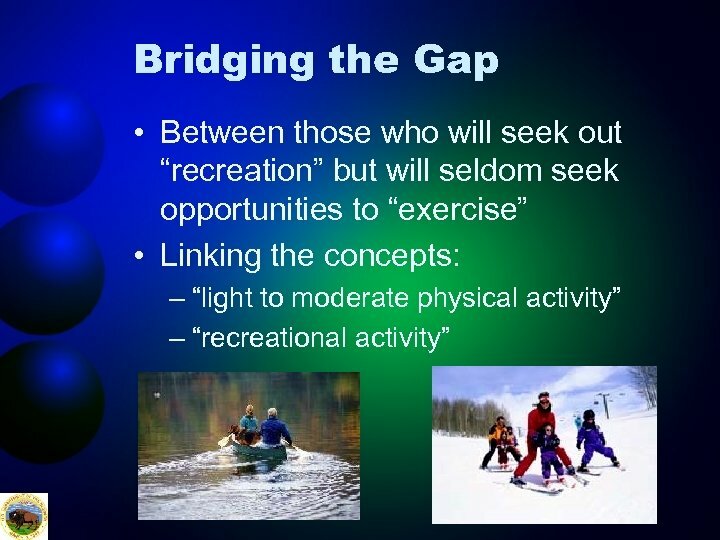 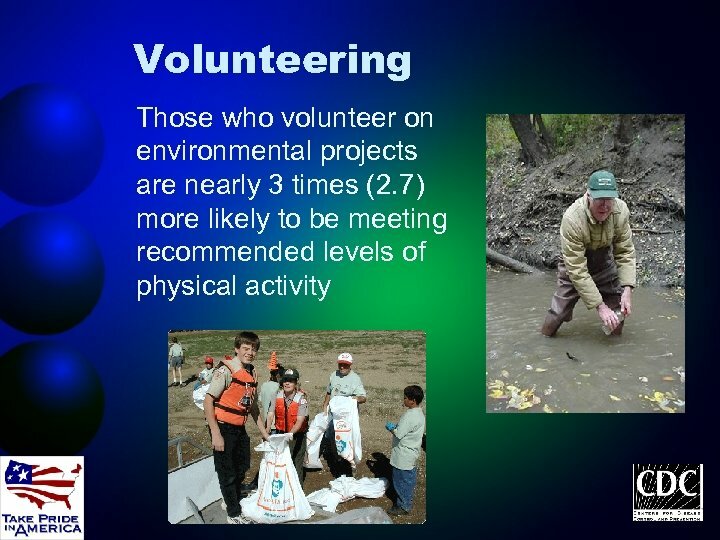 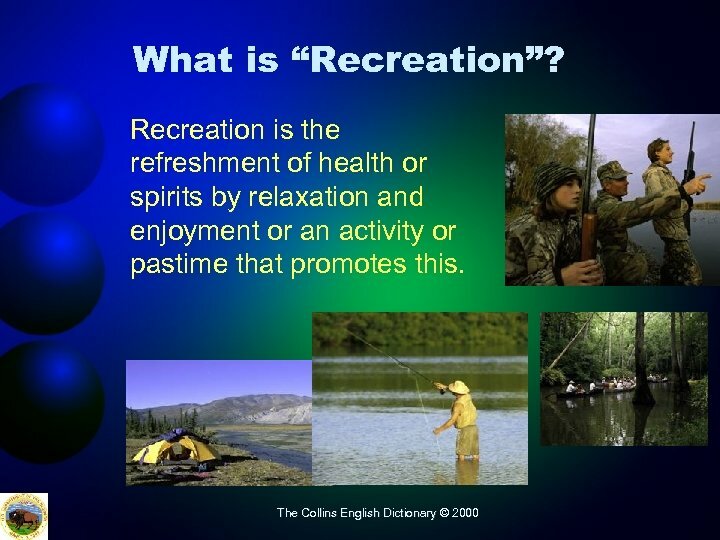 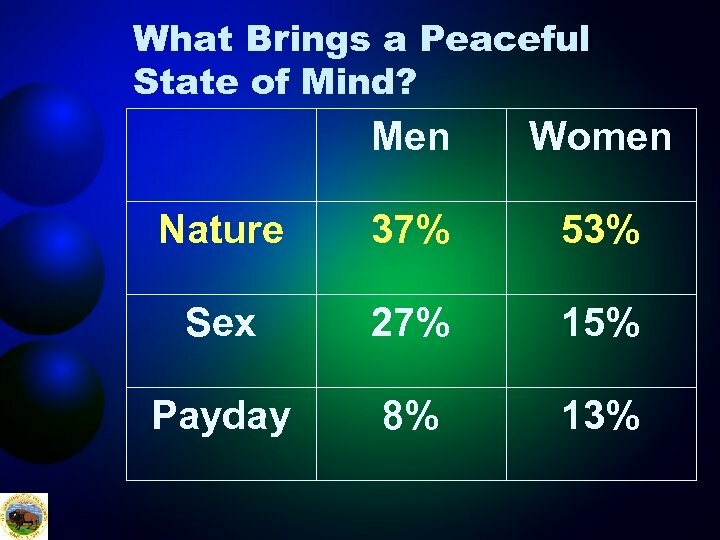 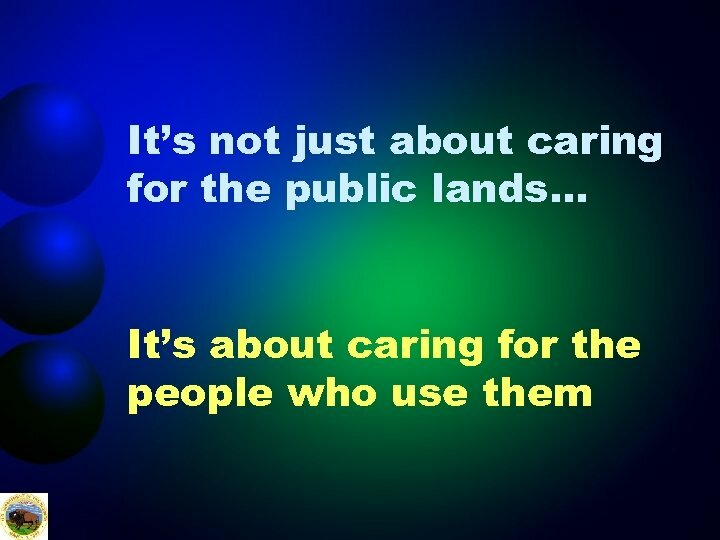 In other words, leisure, play, recreation, sport, contact with nature, etc. 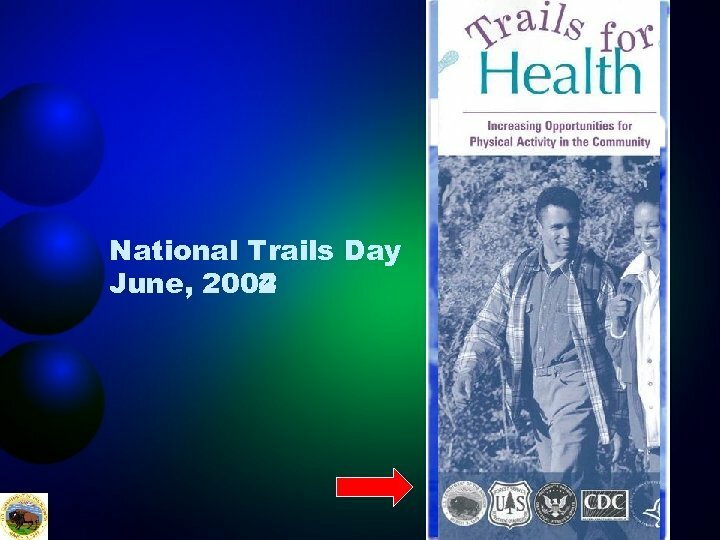 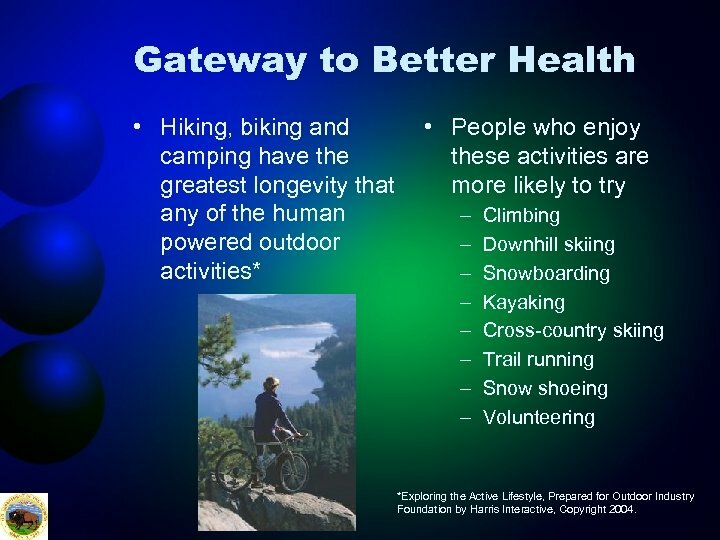 Gateway to Better Health • Hiking, biking and camping have the greatest longevity that any of the human powered outdoor activities* • People who enjoy these activities are more likely to try – – – – Climbing Downhill skiing Snowboarding Kayaking Cross-country skiing Trail running Snow shoeing Volunteering *Exploring the Active Lifestyle, Prepared for Outdoor Industry Foundation by Harris Interactive, Copyright 2004. 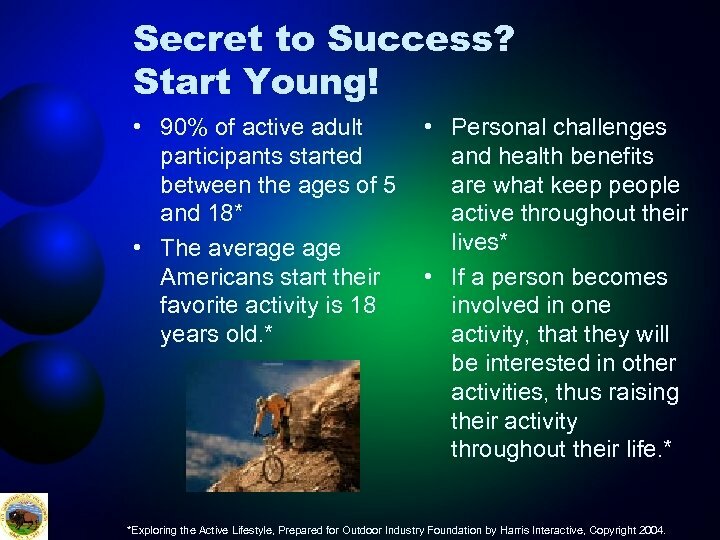 Secret to Success? 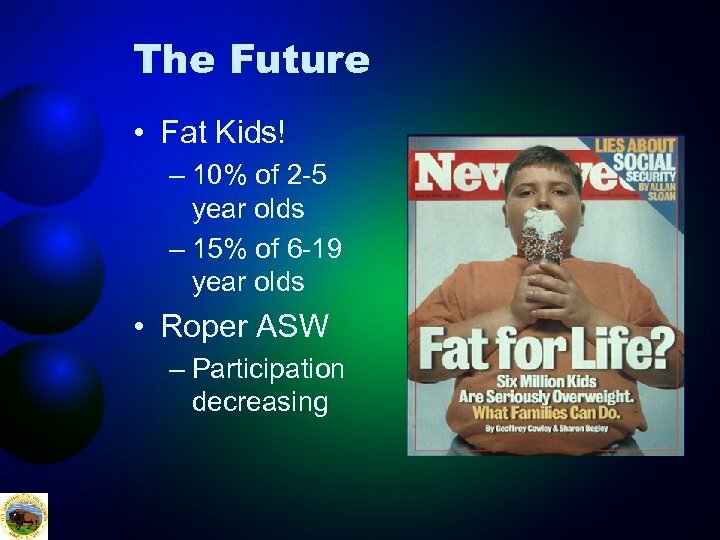 Start Young! 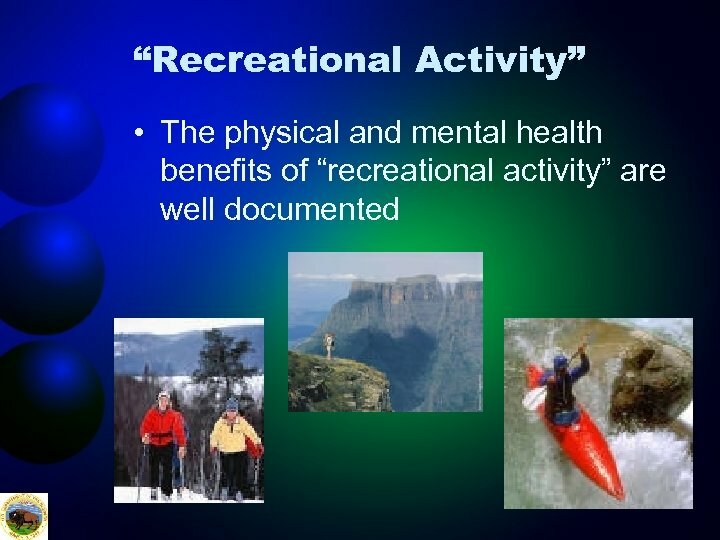 • 90% of active adult participants started between the ages of 5 and 18* • The average Americans start their favorite activity is 18 years old. 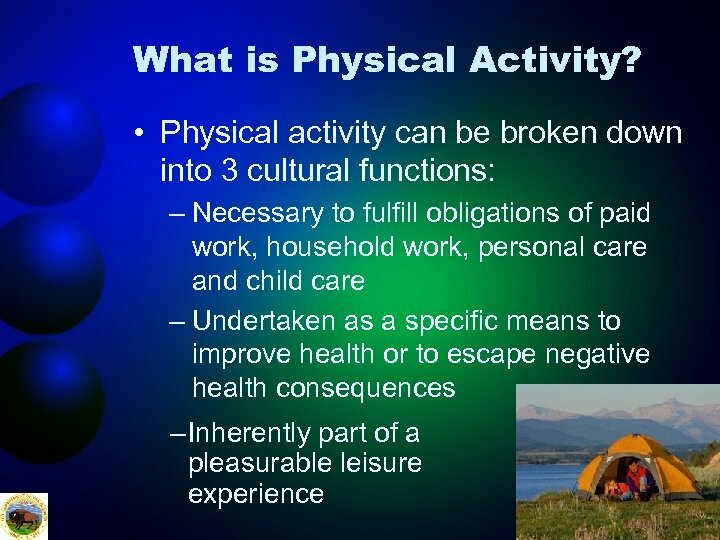 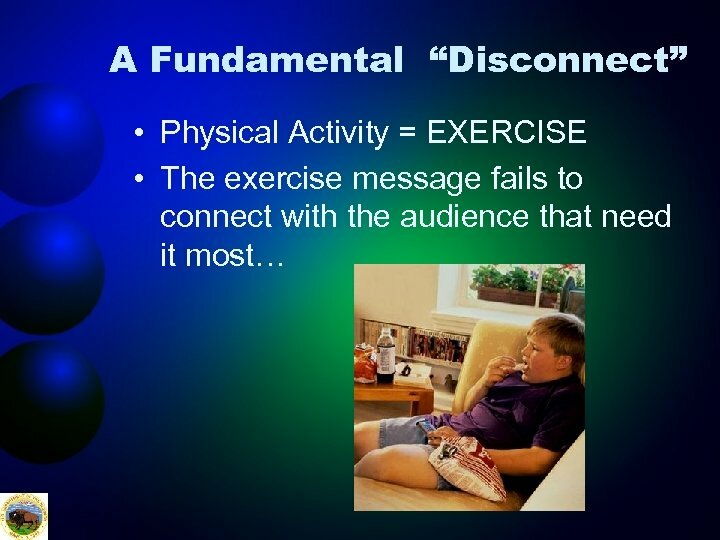 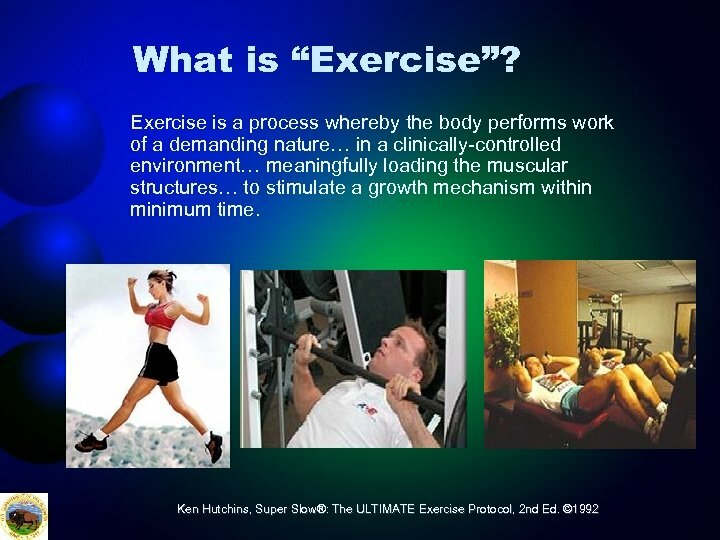 * • Personal challenges and health benefits are what keep people active throughout their lives* • If a person becomes involved in one activity, that they will be interested in other activities, thus raising their activity throughout their life. 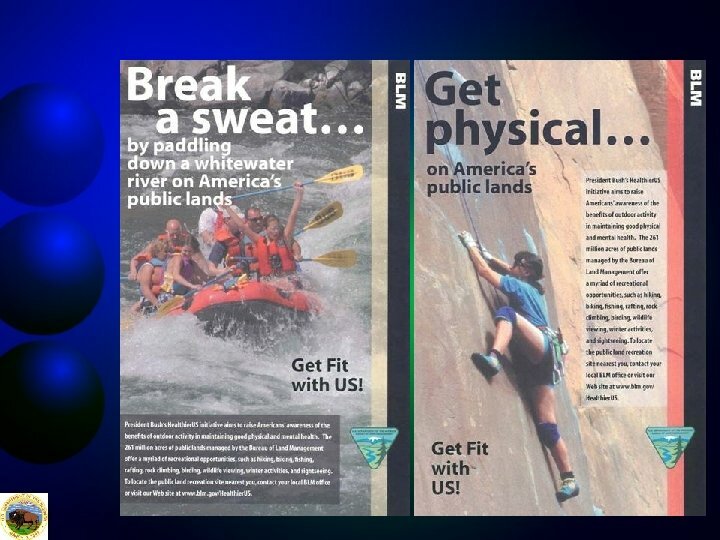 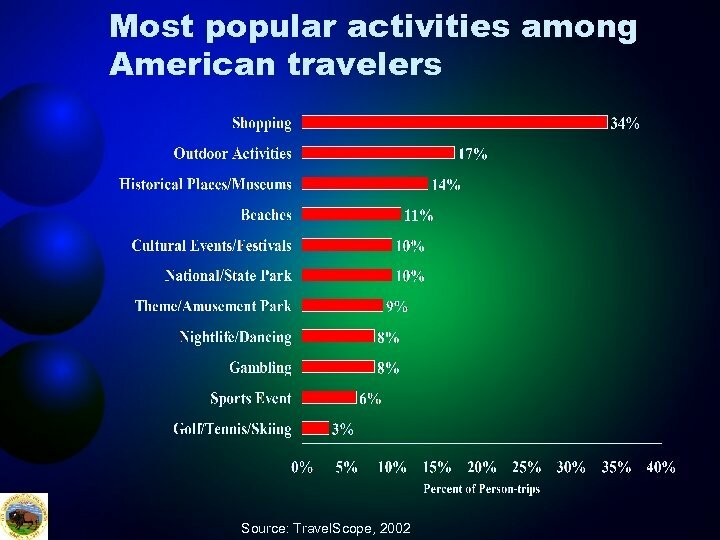 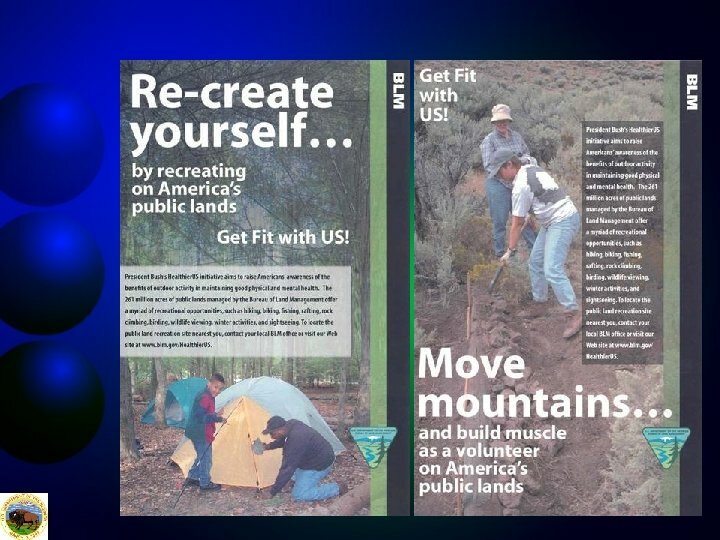 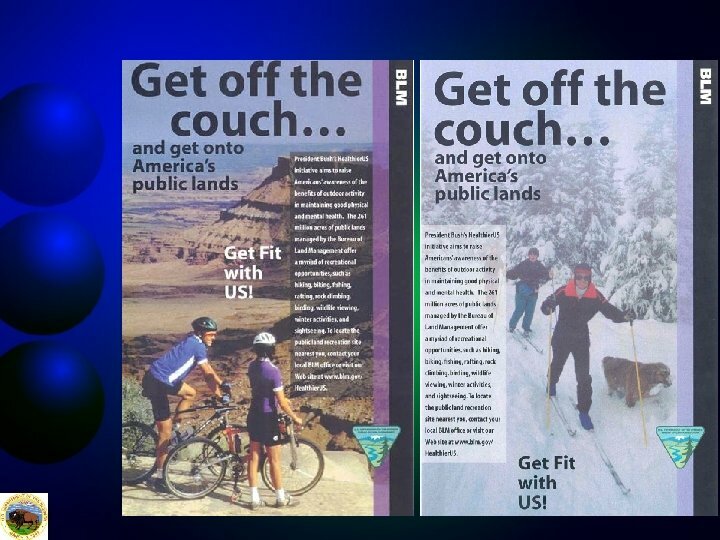 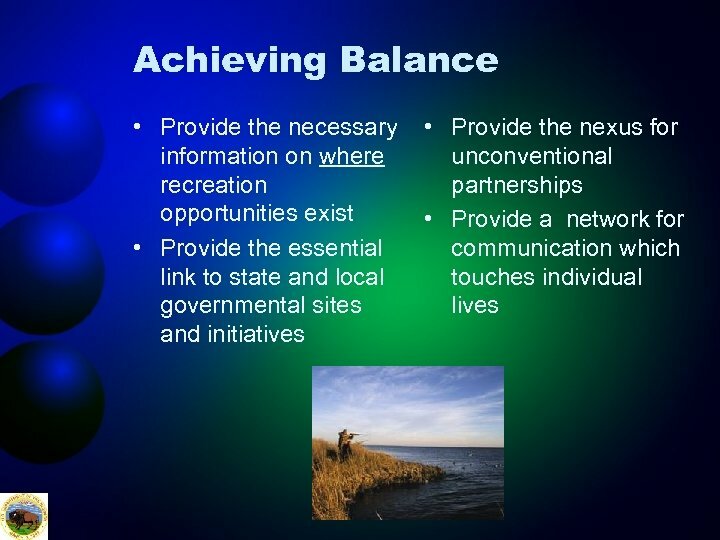 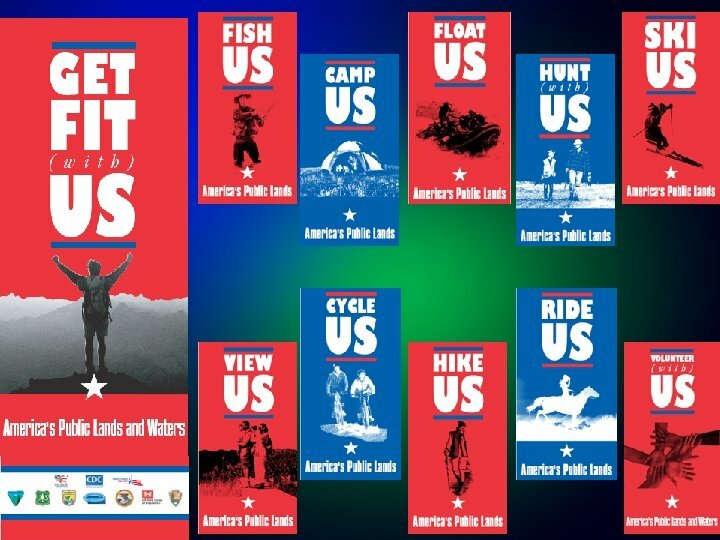 * *Exploring the Active Lifestyle, Prepared for Outdoor Industry Foundation by Harris Interactive, Copyright 2004.